Shortly after then-President John F. Kennedy spoke to her high school class, Janet Allison LaMotte developed an interest in government service. She enlisted as a clerk-typist for the U.S. Army immediately after graduation, serving in Washington DC, Fort Belvoir, Va., and Dallas. In 1962, Ms. LaMotte put her skills as a clerk-typist to use with the IRS, where she also worked as a secretary. She then joined the State Board of Control in Austin, Texas, as a personnel assistant, the federal aviation administration in Oklahoma City as a procurement clerk, and the Defense Logistics Agency as a clerk-typist. The remainder of her career was spent at the Tinker Air Force Base as a clerk-typist, accounting clerk, secretary, supply specialist, and worldwide inventory management specialist. She stepped down from the field in 1998. Through the years, Ms. LaMotte has achieved much. She led the petition drive and hearing at the Wichita Kansas City Planning Commission to have signal lights installed at three dangerous school crossings, and from rezoning single family dwellings to multifamily dwellings. Another highlight was being a passenger on a training flight in a KC-135 tanker with the Kentucky Air National Guard while refueling F-16 Falcon Fighters over Kansas. She attributes her success to her leadership and teamwork skills. Pulling from her strong and unique background, Ms. LaMotte spent much of her free time sharing her talents with others. She contributed articles and photos to local and state newspapers, as well as to Air Force Magazine, and published a monthly area K-3 newsletter through Toastmasters International. She also published newsletters for the Tinker Chapter of Toastmasters International, the Gerrity Chapter of the Air Force Association, and the Oklahoma State Air Force Association. Further, Ms. LaMotte held positions as the Oklahoma delegate to the National Convention of the Air Force Association, and a charter member of the National World War II Memorial, the National Women’s History Museum, the National Museum of the United States Army, the Flight 93 National Memorial, and the United States Air Force Memorial. She maintained affiliation with organizations such as the Civil War Trust, the National Trust for Historic Preservation, and the National Active and Retired Federal Employees Association, among others. Ms. LaMotte prepared for her endeavors by earning a Master of Arts in human relations from the University of Oklahoma in 1986, a Bachelor of Arts from the University of Central Oklahoma in 1984, and an Associate of Arts from Rose State College in 1982. Additionally, she became certified as an open water scuba diver by the YMCA, in advanced swimming and life saving by the American National Red Cross, and in sailing by the American National Red Cross. Now in retirement, Ms. LaMotte enjoys to pursue hobbies like reading, photography, and writing. 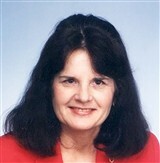 She is very interested in topics like history, computers, pets and genealogy, and has even spent some time creating family trees for Ancestry.com and memorials for FindAGrave.com. She belongs to the Cornerstone Genealogy Society, Logan County Genealogical Society, Morrow County Genealogical Society, Osborne County Genealogical and Historical Society, Pulaski County Genealogical Society, and the Oklahoma Historical Society.